Hello Cody, thank you for your positive review. We are glad everything has gone smoothly for you and we look forward to you joining our community. Thank you again. Very well maintained! Thank you for monitoring, there is a feeling of security thru out the complex. I would recommend Copperbeach because of that. I feel secure with daughter living there. Hello Kathy, thank you for your positive review. Safety and security are our number one priority and we are glad you are satisfied. Thank you again for your feedback! Living at Copper Beech is great, I just wish there was a recycling bin! The community amenities are awesome and the staff is friendly. I just wish there was a more environmentally friendly way to recycle plastics. Hello Sarah, thank you for your positive review of our property. We are glad you are enjoying your time in our community. We can definitely look into recycling on property. If you have any other concerns or feedback, please feel free to reach out to management at jacob.doolittle@assetliving.com. Thank you again for your review! Hello Rafael, thank you for your positive review. We are glad you have enjoyed your time in our community. We look forward to seeing you at our next event, thank you again! Hello Shaojun, thank you for your positive review. We are glad you have enjoyed your time in our community. I do apologize for your internet issues and the basement being cold. If you are having issues with the internet, you can contact Pavlov at 888.472.8568 and you can put in a maintenance request for your heat. Thank you again for your feedback. I enjoy living here for the most part. There are some times that the neighbors can be a little annoying, but otherwise, it's a nice place for college students to study or have fun and hang out in the clubhouse. Hello Paige, thank you for your positive review. If you are having issues with your neighbors, please reach out to management at jacob.doolittle@assetliving.com and we can reach out to them. Thank you again! I have had great experiences with the staff! They are always around to answer questions and help out! I can’t wait to move in during August! Hello Ashley! Thank you for your 5 star review! We appreciate your time and value your feedback! We are excited to see you around the community. Make sure you take advantage of our refer a friend program to earn some extra money! Thank you again! Very nice and informative people! The grounds were very nice and up kept! We really liked seeing the doggy stations along each of the sidewalks! Hello Brian, Thank you for your positive review. We are happy to hear that you enjoy the community and our pet friendly environment. Thank you again! Hello Selena, Thank you for your 5 star review! We appreciate your time and value your feedback. We are happy to hear that you have enjoyed your townhome and loved the community. Thank you again for your review! Love the building's themselves. Most of the staff are either friendly enough or really nice. Not the greatest upkeep of parking lots during winter. Hello Kathryn, thank you for your positive review. We are happy to receive any feedback to try to make our property the best it can be. If there is anything we can help you with or you have any further feedback, please don't hesitate to reach out to management directly at jdoolittle@achliving.com. Thank you again! The townhomes are spacious and a good size for the price that you are paying but they could use some help on the inside. When I moved in the townhouse wasn't super clean. The amenities are very nice in the clubhouse, I have only used a few but so far I am pleased with the amenities. Hello Leslie, thank you for you positive review. We are glad you are enjoying your time on our property and look forward to seeing you at our next event. If you have any issues or you would like to discuss anything, please reach out to management at jdoolittle@achliving.com. Thank you again! Haven't moved in yet but very impressed by the personability of the staff and their commitment! Great experience so far and excited to move in! Hello Shelbie, thank you for your positive review. We are happy that you are excited to move in! If you need anything or have any questions before move in, please let us know. Thank you again. I love living here!! It’s such a Greta place to live with my dog and I love all the space it offers!! It’s nice to have the social aspect of a common area but the privacy of your own private bathroom! Hello Melissa - Thank you for your 5 star review! We appreciate your time and value your feedback! We are happy to hear that not only you, but your dog enjoy the community! Thank you again! Cooper beech offers alot of space, plenty of activities, and a fun club house. The maintenance could be better sometimes it can take days, weeks, or months for a problem to get fixed. Hello Logan - Thank you for your positive review! We appreciate your time and value your feedback. We apologize that you have experienced an issue within our maintenance work order response time. If you have any questions or issues moving forward, please feel free to email a member of our management team directly at tlafave@achliving.com or (515) 233-3271. Thank you again! Spacious townhomes! Front row parking right outside your door! And maintenance requests are attended to quickly! All of the staff members are friendly and helpful when issues arise. Would recommend this place to a friend. Hello Allison - Thank you for your 5 star review! We are happy to hear that you have enjoyed the community and your spacious townhome! Be sure to take advantage of our refer a friend program so you can earn some extra money for each person you refer! Thank you again! I moved here in late August, at the start of my freshman year. The facility has been more than convenient, right for the price, and cooperative with issues. Hi Colten - Thank you for your positive review! We appreciate your time and value your feedback! We are happy to hear that you enjoy the community! We hope you renew for the upcoming year! Thank you again! Wish there would be more emphasis on getting to know your neighbors because we don’t know many people here, but other than that it’s a great price for a great place. Hello Gavin - Thank you for your positive review! We appreciate your time and value your feedback! We are more than happy to assist you in getting to know your neighbors, stop down at our next event! Thank you again! look elsewhere! they are money hungry and will do anything to get money out of you. Maitenece left us with 3 broken kitchen chairs for weeks and weeks while we put in multiple different work orders. Hello Shaina - Thank you for your review! We apologize that you have experienced a negative experience with our maintenance staff regarding your furniture. If you are still experiencing issues, please reach out to a member of our management directly at (515) 233-3271 or tlafave@achliving.com. Thank you again! I am excited to live here in the fall! The process for the lease was very simple and easy to do! This facility is very nice and I am happy I chose Copper Beach! Hi Blake - Thank you for your 5 star review! We appreciate your time and value your feedback! We can't wait for you to move in! We hope to see you at our events leading up to your move in date. Thank you again! So far it has been good. Maintainance comes fast when needed. We love the free printing and study room. We have also connected to several of our neighbors. Hello Breann, thank you for your positive review. We are glad you are enjoying your time in our community. We look forward to seeing you at our next event. Thank you again. Copper Beach in Ames is an outstanding place to live. The amenities rock and the price you pay is unbeatable. The neighbor hood/community is very quiet. They offer more then you could ever think. I wish I could stay! Hello Savannah, thank you for your 5-star review. We love hearing any feedback from our residents. If you ever have any issues, please let us know. Thank you again! Great staff that genuinely cares about both your concerns and problems. Amenities are both very accessible and useful. Value is very good for what you are getting. Hello Noah, thank you for your 5-star review. We are glad you enjoy living in our community. We hope to see you at our next event. Thank you again. Living at copper beech has been great. The amount of space and storage areas we have is incredible. I like having the events in the clubhouse as well to go to if we want. Hi Karl - Thank you for your positive review! 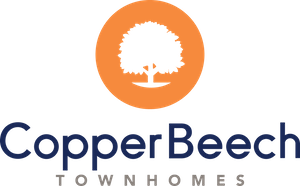 We love to hear that you have enjoyed Copper Beech thus far! We hope to see you at our next event. Make sure you take advantage of our refer a friend promotion to earn an extra $200 for each person you refer. Thank you again! Hello Sydney - Thank you for your positive review! We love to hear that you enjoy your townhomes and all the space. We hope to have you renew for the following year! Make sure to take advantage of our refer a friend program and earn an extra $200. We hope to see you at our next event! Thank you again! It is a really good improvement from my last places. I definitely was ready for a bigger place, and this one definitely feels nice and homey. Hi Alana - Thank you for your positive review! We are happy to hear that you enjoy the space of your townhome! We hope to see you at our next event! Thank you again!